Today we'd like to introduce "Gifts for you" to you. This set is oh so versatile with all the small images to stamp backgrounds. I made a pretty simple card: A little bit of random stamping, a main image, some wood embellishments - that's it. such a SWEET card!! eek! LOVE this! 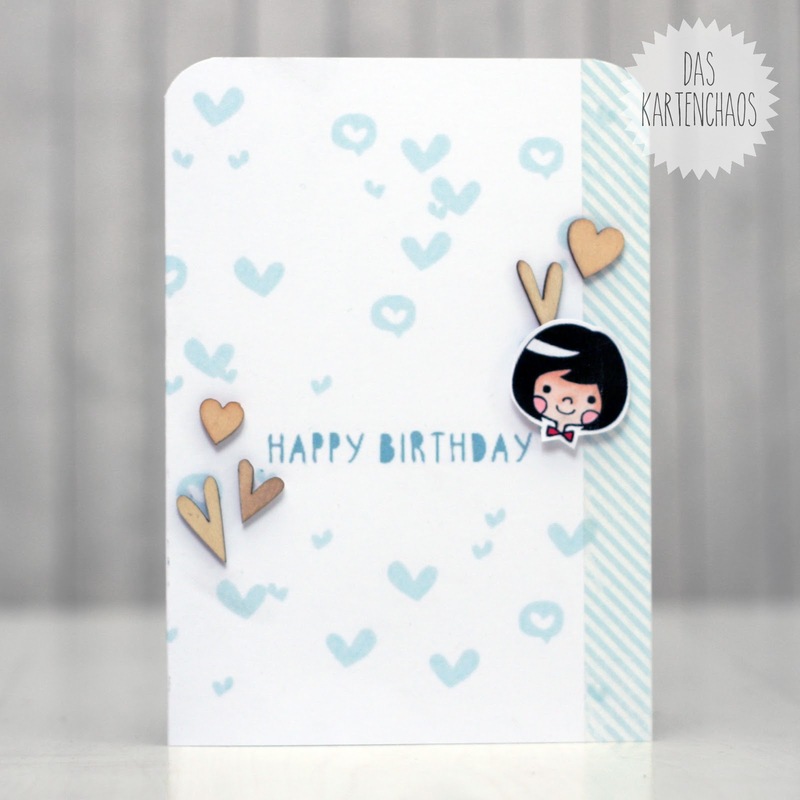 such adorable little images, and i just LOVE the random stamping you do! and that sweet little face...NO LIE, it's is so awesomely colored that it looks like an embellishment!!! you're just amazing!